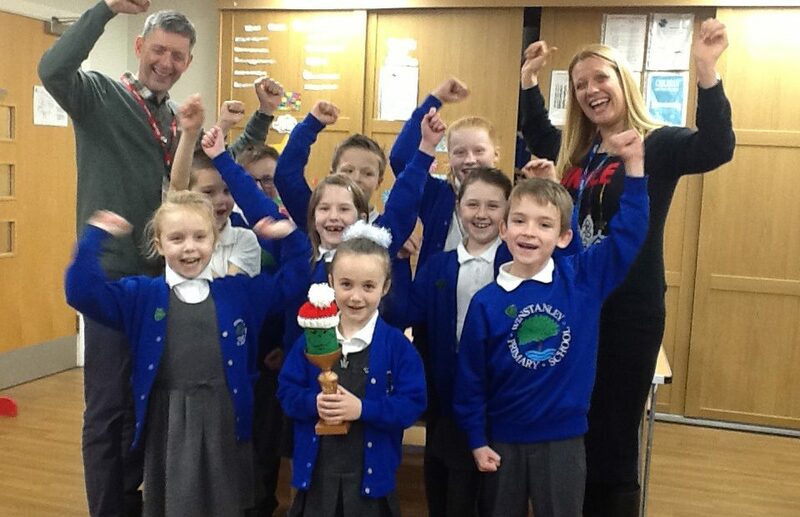 Winstanley Primary School Wins Festive Food Monster Competition	"
Winstanley Primary School takes home the trophy in The Brick’s Festive Food Monster Competition. The Brick, launched its annual Christmas Hamper Donation campaign in November with the launch of the competition, challenging 9 primary schools across the borough to design and create festive food monsters, out of green wheelie bins, for a range of Wigan businesses, to collect food and gifts for the 150 festive hampers for vulnerable families. Winstanley Primary School’s School Council, with children aged from 6-11 created the Grinch Food Monster, who went on to collect food and gifts at The Wigan Business and Investment centre. This amazing creation pulled in the majority of votes on the Brick’s Facebook page and achieved full marks from The Brick’s judges, to be crowned the overall winner. The children won a grand trophy for the school, tickets to a Wigan Athletic football match, a Wigan Warriors game and a tour of the stadium. Ged Bretherton, Business Director, from The Brick said: “We were delighted to see the amazing creations from all of the primary schools who took part in our competition and were extremely impressed with the creativity and innovation that has been demonstrated by all of the schools who participated. “It was a hard decision for The Brick’s judges, but we were helped by the 100’s of people who voted for Winstanley’s Grinch on Facebook, and they are indeed worthy winners.